First, it is important to understand what free radicals are. Free radicals are atoms that lack a particle called an electron, and, as a result, are very unstable. In the free radicals' attempt to become stable, they attack other cells as they try to "steal" an electron. This attack harms the cells' delicate membranes and makes them a target for disease. When free radicals steal electrons from healthy cells it is called oxidation. Just like oxygen causes metal to rust, oxidation can also damage cells. In humans, the common signs of oxidative damage can be seen in the normal signs of aging: skin changes such as the appearance wrinkles, and ocular changes, including the development of cataracts and macular degeneration. Antioxidants neutralize free radicals by donating an electron to these unstable atoms. After being neutralized, those free radicals will no longer attempt to damage cells, and therefore become less harmful to the body. The body makes some of its own antioxidants including glutathione, super oxide dismutase, and coenzyme Q10. Nutrients such as selenium, riboflavin, zinc, and cysteine are needed to help the body produce these antioxidants. Ultraviolet sun rays promote oxidation. If you stare at the midday sun, the UV rays can "oxidize" retinal cells at the back of the eyes, resulting in a short time in a loss of central vision. Similarly, the destruction of retinal cells can occur slowly over many years, from exposure to low levels of sunlight and/or from a gradual degradation of the antioxidant defense system. 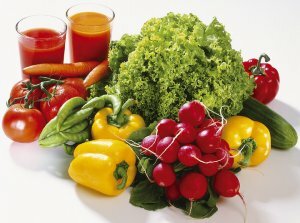 Decreases in the level of antioxidants in the eyes as we age is believed to be a major factor in the decline of vision. Dr. Grossman's Advanced Vision Support Formula contains therapeutic levels of these antioxidants and other nutrients for healthy vision. These antioxidants are found in plant pigments. Astaxanthin can be helpful in the prevention and treatment of macular degeneration; it also helps boost immune function. Lutein protects the eye against blue and near-blue (ultra-violet) light, helpful for macular degeneration and other eye conditions. Zeaxanthin Critical for health of the macula and helpful for macular degeneration and cataracts. Glutathione is essential to the creation of tissue enzymes and is crucial to the prevention of free radical damage. Super oxide dismutase is an enzyme that repairs cells and reduces the cell damage caused by super-oxide, the most common free radical in the body. CoQ10 helps support healthy heart function.